Now you can rewatch that live broadcast you missed. Late last year, Instagram introduced the ability to broadcast live video; simply swipe over to "Live" mode in the Stories camera, tap the button and stream away. But unlike Periscope and Facebook Live, those live videos couldn't be replayed after you're done streaming, which means that your audience needed to be tuning in at the right time to catch the broadcast. Thanks to a new Instagram feature, however, you can finally share the replay of your live video once you're done. Now, when the live broadcast ends, you'll see "Share" at the bottom of the screen. When you do, the video will be available for 24 hours, just like all other Story content. Of course, if you'd rather not share that live video in the first place, you can tap an option to discard the video instead. If you did though, your followers will know you've shared a replay if they see a play button in your profile photo. Viewers of live video replays will not only see the video playback, but also all the likes and comments that happened during the broadcast. Tapping right will fast forward the video 15 seconds and tapping left will rewind it by 15 seconds. If there are multiple replays, arrows at the top will let you jump between them. Number of viewers will include those who watched it live as well as in Stories. Letting viewers watch the replay of live video for 24 hours puts Instagram on par with Periscope, which has done so from the very beginning. However, Periscope has an indefinite storage option, which gives it a slight edge if you prefer flexibility. Still, seeing as Stories are supposed to be ephemeral anyway, a vanishing Instagram replay seems a good fit. Plus, you can always repost the full video in your regular Insta feed if you want it to be more permanent. Speaking of Stories, Instagram made yet another announcement today: it now has 250 million daily users on Instagram Stories, which is up from the 200 million it announced just last April. This is quite a bit higher than the number of daily users on Snapchat, which is reported to be around 166 million. 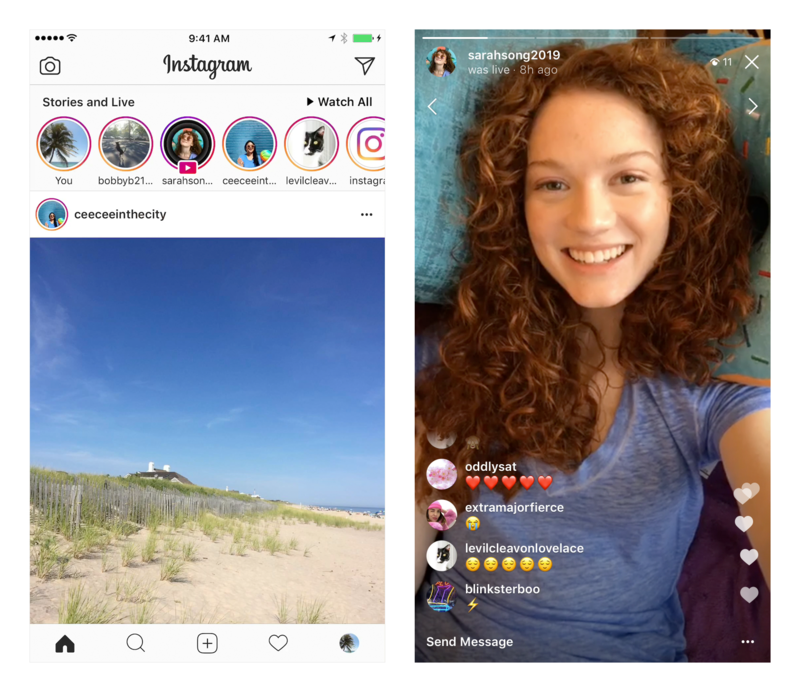 With Stories and Live Video (which Snapchat lacks, by the way), Instagram seems to be doing quite well, even if it did kinda, sorta, steal a few ideas.